So your little boy wants to be a pirate when he grows up. 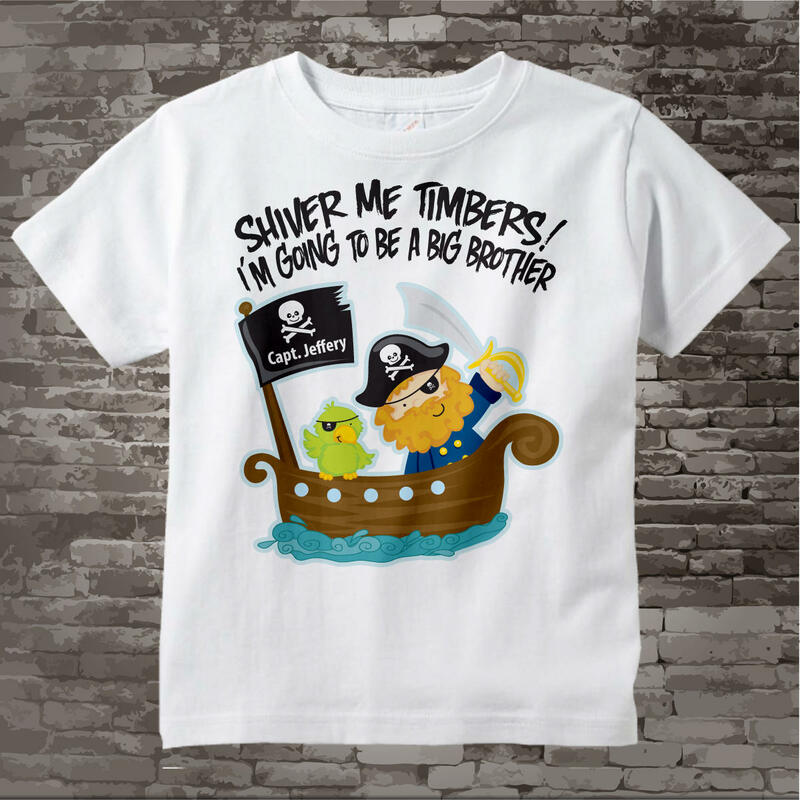 I'm sure he'd love a Pirate theme to to let everyone know he's going to be a big brother. So what's better than his own personalized tee shirt to wear for this announcement? Complete with a pirate, parrot, pirate ship and Jolly (Roger) flag with his own name instead of Roger. 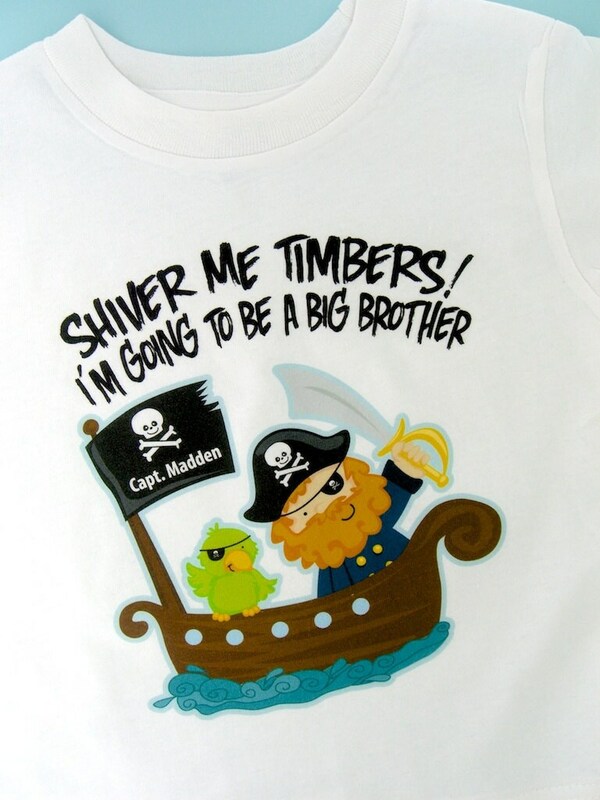 Along with all of that it will say "Shiver Me Timbers!, I'm Going To Be A Big Brother". 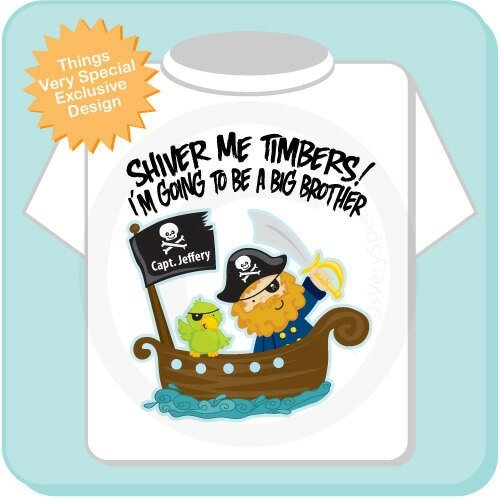 This cute pirate Big Brother Announcement design is available on tee shirts, or Gerber Onesies.